A couple of snippets from P&O for the first post for a couple of weeks, almost. her port of registry is Hamilton, Bermuda. That doesn’t sound very British to me. It all sounds pure marketing – there’s nothing here that will affect her passengers’ cruise experience one bit, yet somehow this is “exciting news”. Oh well – perhaps I should go away and be grumpy elsewhere. 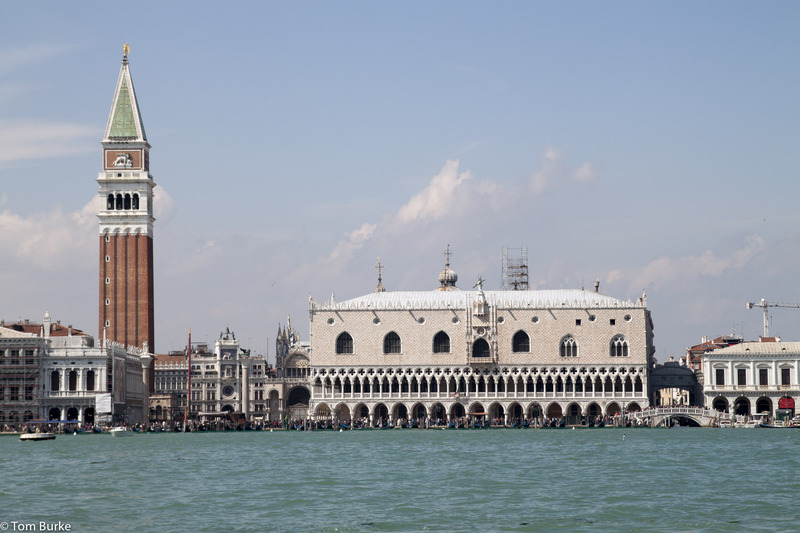 Let’s finish off with a picture of St Mark’s basin in Venice – and not taken from a cruise ship. Interesting post as usual Tom. I too wondered about the flag business, I agree with the points you raised. Another is the outcome of the Scottish vote and how it will affect the union flag. Perhaps that is why P&O are waiting until 2015 to ensure they use the correct flag. I like the new livery and as the majority of P&O’s passangers are from the British isles and the union flag is seen as British I think it’s only fitting that it’s used regardless of any business/political border wranglings. People will be able to spot a P&O ship from some distance even if you don’t know P&O’s ships (as most people don’t) just as you can an Aida ship from it’s livery (shudder) though you might not realise it’s German. The current P&O livery is a bit stale so I’m glad they’ve updated it witthout going over the top.